Campsfield closing: How did we get here, and what next? Campsfield House Immigration Removal Centre opened 25 years ago this month. In this first part of a two-part blog, a campaigner from Campaign to Close Campsfield looks back at its history and tries to make sense of the government’s announcement that Campsfield is to close. On Friday 9 November, the government announced that Campsfield House Immigration Removal Centre is to close in May 2019. The Home Office statement bears quoting in full (emphasis added). Today, the Home Office has announced that Campsfield House immigration removal centre will close by May 2019, when the current management contract with Mitie Care and Custody ends. The closure of the 282 bed centre is part of Home Secretary Sajid Javid’s commitment to cut the number of people detained at any given timeand improve the welfare of detainees. These reforms were announced in response to Stephen Shaw’s review into welfare of vulnerable people in detention. By next summer, the Home Office will aim to reduce the immigration detention estate by almost 40% since 2015. I am grateful to all the staff who’ve worked at Campsfield over the years for their commitment and professionalism. Now is the right time to modernise and rationalise the detention estate.We are committed to ensuring we have a fair and humane immigration system that provides control, and detention must only be used when we are confident no other approaches will work. 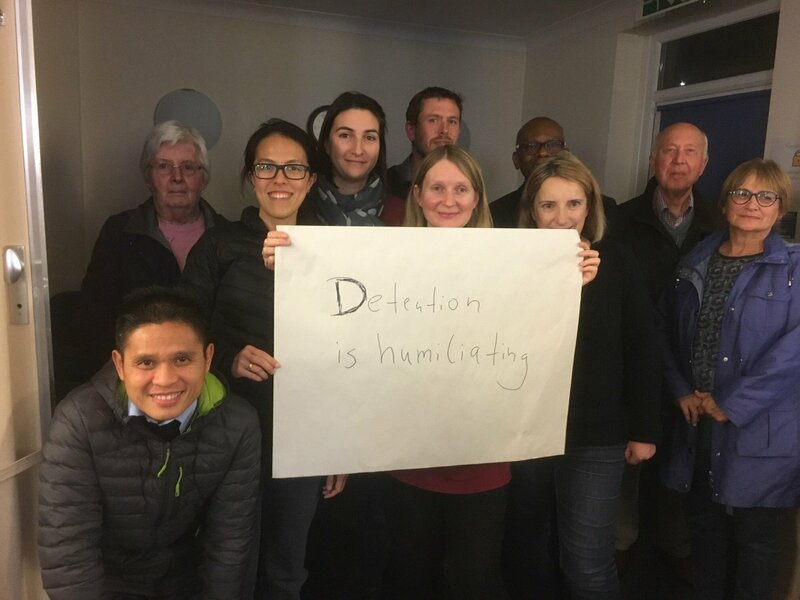 In response to Stephen Shaw’s second review of the government’s approach to vulnerable people in immigration detention, the Home Office committed to working with charities, faith groups, communities and other stakeholders to develop alternatives to detention, strengthening support for vulnerable detainees and increasing transparency. In addition, reforms have already led to a reduction in the number of occupants per room, and will improve facilities in immigration removal centres, including piloting the use of Skype and reviewing the training and support for staff in immigration removal centres. In 2015, Centres in Dover and Haslar closed and the Verne Immigration Removal Centre in Dorset closed in January 2018. There are no current plans for further immigration removal centre closures. However, as the Home Office progresses with reforms outlined in the response to Stephen Shaw’s second review, the use of immigration detention and the implications for the detention estate as a whole, will be kept under review. The announcement that Campsfield is to close is long overdue. We think soberly of all the harm done, the lives damaged or destroyed, and those lost – 18-year-old Kurd Ramazan Kamluca in June 2005 and Moldovan Ianos Dragotan in August 2011 – at Campsfield over the past twenty-five years. The name of our campaign is Campaign to Close Campsfield and End All Immigration Detention. 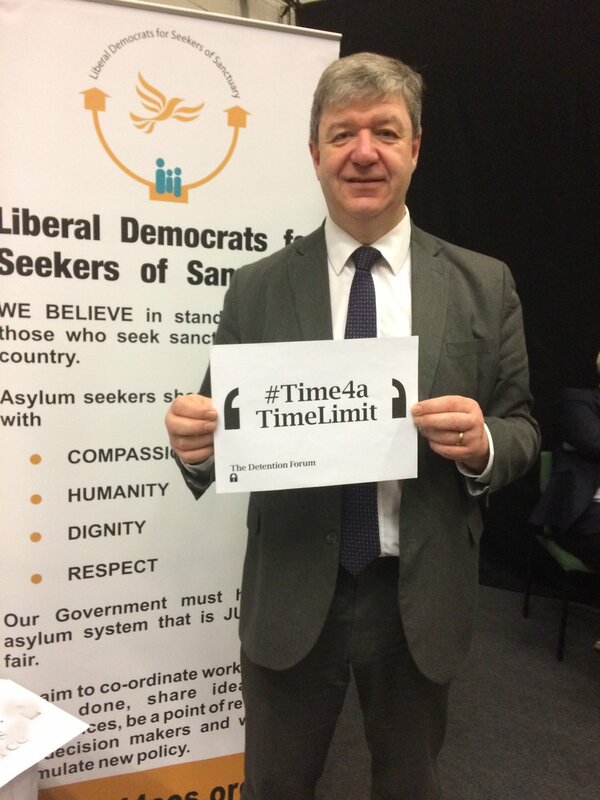 With Campsfield next May, four detention centres will have closed in four years. The number of people in detention is currently down some 20 per cent from the peak in 2015. 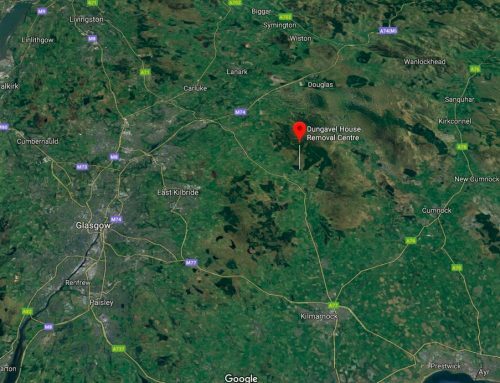 But the misery and injustice of immigration detention continues at Yarl’s Wood, Colnbrook and Harmondsworth, Brook and Tinsley, Morton Hall, and Dungavel. These too have to go. We shall work for that. It would be simplistic to see this as a ‘victory’ for the Campaign to Close Campsfield. 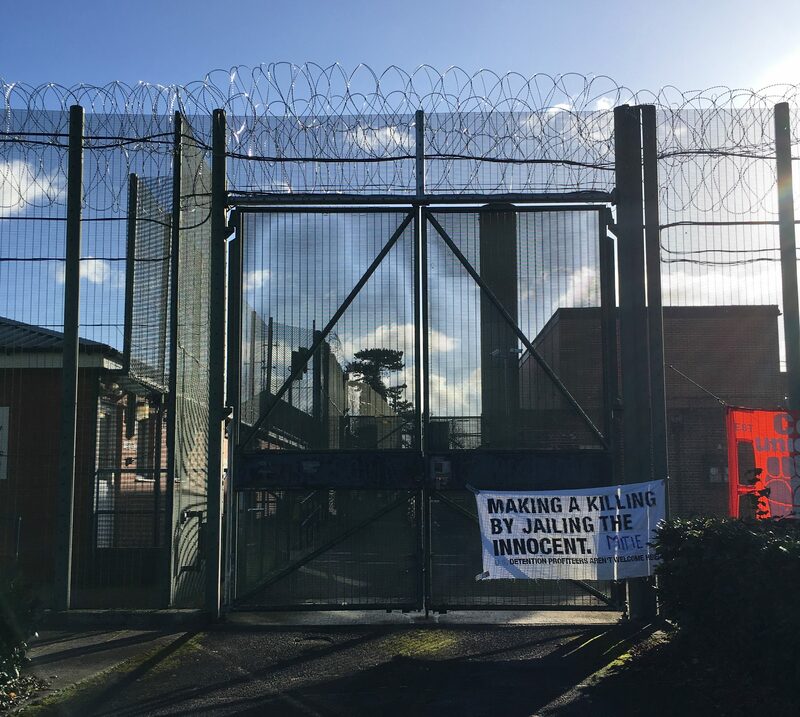 Three other detention centres have recently closed without the benefit of a long-sustained and high-profile closure campaign. 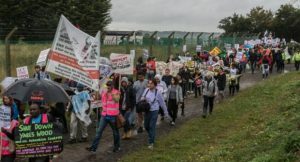 But I think there is no doubt that the closure announcement comes as a result of a steadily built up national movement against immigration detention in which the resistance inside Campsfield detention centre and outside it locally has played a significant part. This many-faceted movement within and outside parliament movement is what resulted in a government announcement in 2016 that it would seek to detain fewer people for shorter periods and would pursue alternatives to detention. The All-Party Parliamentary Inquiry and its report (2015) and subsequent committee inquiries into detention. We can also point to local Oxfordshire successes in stopping government plans for an 800-place accommodation centre for asylum seekers (2002) and an 800-place closed detention centre (2007), both at nearby Bicester, and a doubling of the size of Campsfield (2015). These have been seen off by well-organised local opposition with national support. These may be a reason why the government has selected Campsfield for closure. ‘Rationalisation’ may indicate a strategy of fewer (and perhaps bigger) detention centres near the main airports. In this respect, if Heathrow expansion goes ahead, then the two Heathrow detention centres will be demolished and the government will likely seek to rebuild on a new site. The £240 million contract with Mitie to run these centres expires on 31 August 2022. Caution: The February 2002 announcement that Campsfield was to close was (after the fire at Yarl’s Wood) reversed. It could happen again. What will happen to the people inside when they are released? This has been a very common question since the closure announcement. It is not the case that 286 people (Campsfield’s capacity) will be turned out penniless in the dead of night. (Even if it were, I suspect those detained would choose that rather than continued detention.) 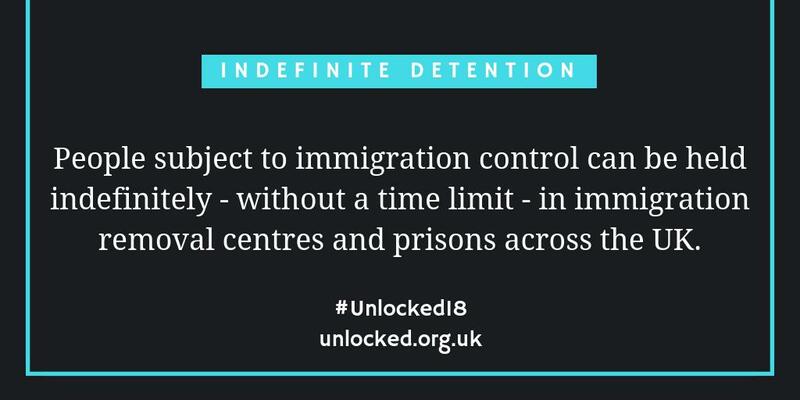 On the day of the announcement, there were only 119 people detained in Campsfield (a pattern reflected in other centres). So the run-down has begun. The fact that 1,000-2,000 fewer people will be detained each year when Campsfield closes is to be supported. 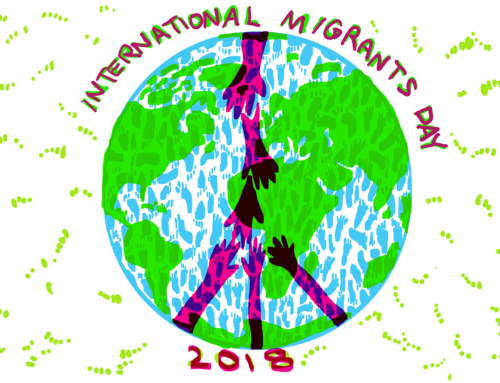 On 21 November there will be a further blog on a history of resistance and events to mark 25 years of protest against immigration detention in Campsfield House.